Area Rugs are a beautiful addition to any home. Like well-placed wall decor or fine paintings, they contribute to the overall character and complete the furnishing of a well-decorated room. Unlike wall decor, however, area rugs usually receive a fair amount of traffic. Rugs are often placed in high-traffic areas to decorate, liven up and even protect these living spaces. But who is going to protect the rugs? Similar to carpets and upholstered furniture, area rugs act as air filters for the home, trapping dirt, allergens and bacteria and preventing those unhealthy elements from circulating to other rooms. But area rugs are only able to do this properly if they are maintained and kept clean. Just as an air filter for your home ventilation system needs to be regularly replaced, your carpets, upholstery, and area rugs need to be regularly cleaned. 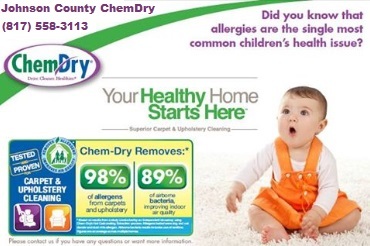 The professionals at Johnson County Chem-Dry provide high quality area rug cleaning services, focusing on care and attention to detail, that restore the rugs to their original beauty while removing dirt and allergens. Johnson County Chem-Dry professionals are trained to clean all types of rugs, from common area rugs to expensive and delicate Oriental or Persian rugs. For our area rug cleaning services, we use specialized tools and equipment designed for whatever kind of rug you have, whether that is synthetic, wool, cotton, silk or one of many other types. Our effective, yet gentle area rug cleaning and drying process preserves the dye within the fibers of your rug, leaving the colors in your rug vibrant and fresh. It wouldn’t make sense to clean your carpet or area rug only to have it come out in the end looking even worse than when you started. At Johnson County Chem-Dry, we understand this, and we do everything we can to make sure your area rug looks beautiful, vibrant and refreshed at the end of the cleaning process. Our trusted professionals can clean almost any rug and have it looking fabulous. Whether you have a Pakistan-Keshan or a Romanian-Tabriz, you can trust our expert technicians to thoroughly but gently clean your area rug. We ensure your rugs are carefully handled and cleaned by our certified, trained specialists who perform a thorough evaluation on it in order to provide the safest, most effective rug cleaning for each individual rug. Due to the wide variety in construction materials and styles of area rugs, we’ll be happy to provide an in-home analysis for your any rugs you’d like cleaned and prepare a no-obligation quote. 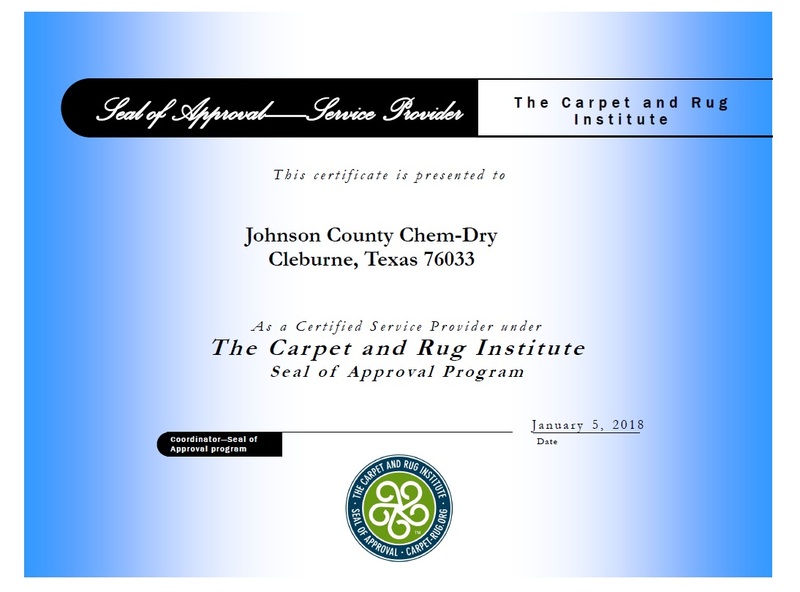 Trust your finest rugs to Johnson County Chem-Dry professionals and let our trained, certified specialists bring the patterns and colors of your area rugs back to their original beauty, while also leaving your home cleaner and healthier for you and your family. Our Chem-Dry area rug cleaners will vacuum before the main cleaning process, but larger clutter like shoes, toys, and the like can get in the way. Not only that, these items can be a tripping hazard. By removing these items from the area rug, you can help ensure that your rug is cleaned thoroughly, efficiently, and safely. Many people place their area rugs underneath coffee tables and other small pieces of furniture. While these focus pieces of furniture can do wonders to tie a room’s decor together, it can get in the way of a cleaning. Our technicians are experts at oriental rug cleaning, but they are not licensed movers. Set furniture pieces—such as coffee tables, plant stands, and floor lamps—to the side in a nearby room, then move them back after the cleaning, once the rug is dry. Sometimes, once you’ve noticed a stain or a flaw on your area rug, that can become all you see whenever you look at the rug. We certainly want to make sure that you are completely satisfied once we have completed your area rug cleaning, so if there are any particular areas where you want extra care, take a note of them and share that with the cleaner. A new person in your house, particularly one bringing new equipment and new smells with them, can potentially agitate your pets, so make sure that you have prepared for this. It might be wise to have your pet stay with a friend or relative, or even closed into another room or the backyard. It can be easy to forget that a technician needs to get himself and his equipment from his vehicle to your front door and from your front door to the rug. Make sure that there is a pathway he can take in order to clean your oriental rug safely and efficiently. Some technicians use equipment that is attached to the van, so it may be a good idea to move cars out of the way so that his van is as close to the entrance as possible. While area rugs are a beautiful addition to any room, they receive a fair amount of traffic and can quickly become dirty. Let Johnson County Chem-Dry bring the patterns and colors of your area rugs back to their original beauty. Our professionals can clean nearly any rug and have it looking nearly as good as new. Our cleaning products don't leave any sticky dirt-attracting residue, so your rugs will stay cleaner longer. And, with an application of Chem-Dry Protectant, your rugs will stand up better against the spills and mishaps of everyday life. Ask about all our services available to ensure a deep-cleaned Healthy Home. Here are a few tips for maintaining your area rugs between professional cleanings.